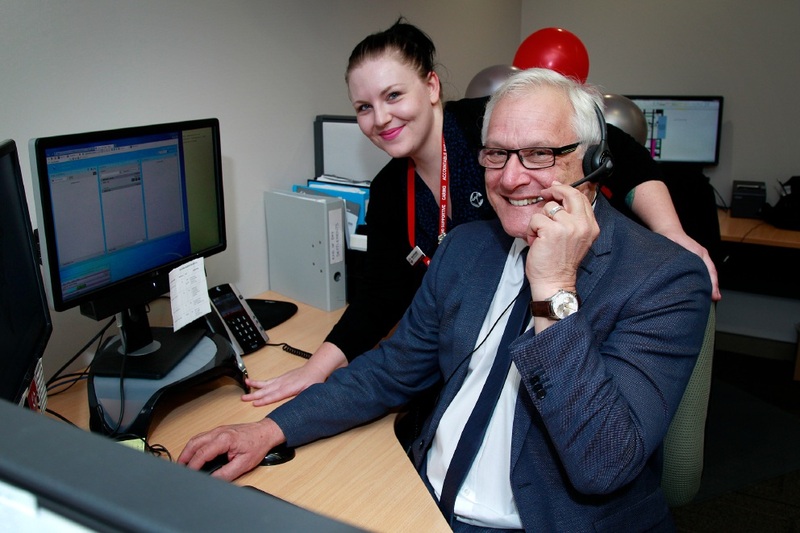 JUMPING behind the phones at the City of Canning, new chief executive Arthur Kyron got a taste of customer service at ground zero as part of Customer Service Week. The project, created by Canning staff, invited City employees to volunteer in the customer service department through a series of special programs. Staff learnt about the customer service relationship-management software that manages all incoming queries, how this assists in ensuring customers receive the answers they are looking for, including timely feedback and a tracking mechanism so all queries are finalised. Mr Kyron spent more than an hour in the phone room, answering calls and helping at the front counter as a means of gaining first-hand experience with the centre’s staff, who recently won the 2016 International Service Excellence Award in the Government Category. Mr Kyron said it was a great experience and he was interested in hearing what customers had to say. “The City is committed to delivering the highest quality of customer service. The Customer Service Week activities were a great way for all staff to experience first hand our customer’s journey with us,” Mr Kyron said. The City customer service representatives are finalists in two categories for 2016 with the National Local Government Customer Service network, for the Customer Focus Innovations Award and for the Customer Service Strategy Award. The winners will be announced at the end of October.